In more ways than one, it is a good thing that Priyanka Chopra has stepped aside from the world of Bollywood to concentrate on her international career. In a country that is increasingly getting more and more regressive and nativist with each passing day, a working, independent woman who has the world in her hands like Priyanka Chopra has no reason to keep entertaining us Indians. 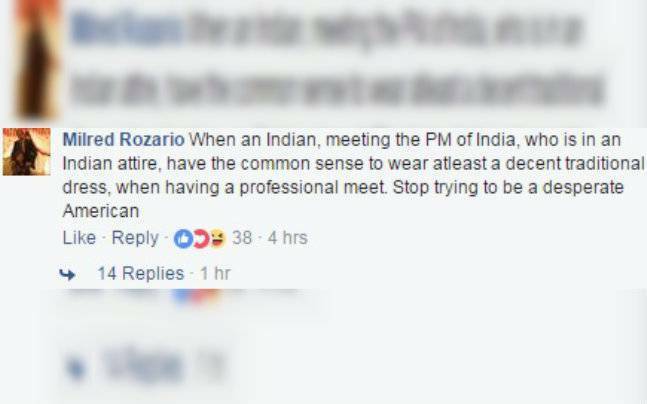 Especially, after how Indians made a sorry spectacle out of themselves yesterday when a photograph emerged of Priyanka Chopra meeting Prime Minister Narendra Modi where the actor was seen wearing an allegedly un-sanskaari dress. 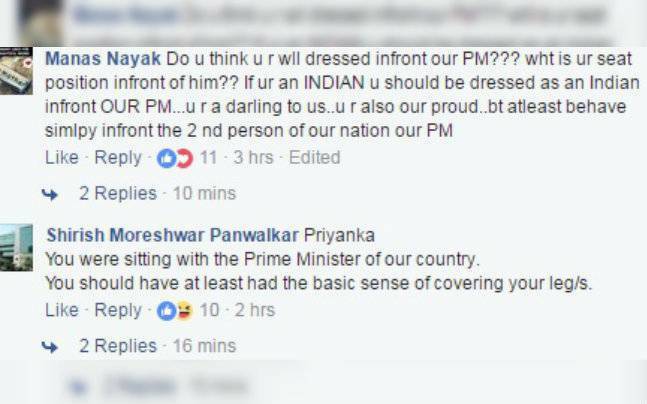 Among other things, Priyanka Chopra got criticised for sitting cross-legged in front of Narendra Modi as it is apparently disrespectful. 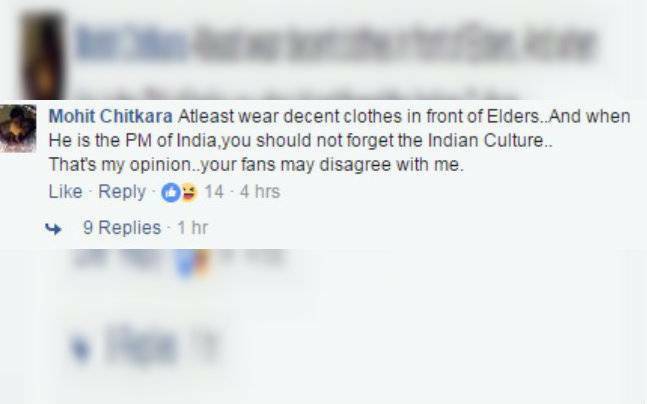 Indian Facebook users advised Priyanka Chopra to cover her legs, maybe wear a salwar kameez or, perhaps, a saree and thus, be respectful to the Prime Minister. 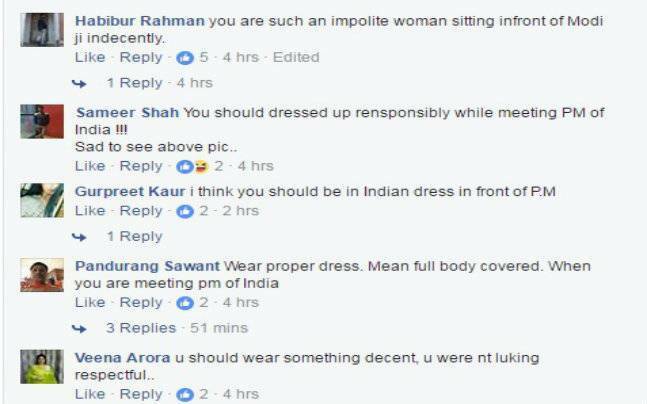 Have a look at the respectful comments that Priyanka Chopra received for her dress yesterday. What is this? Is it the 19th century? You outrage about a woman being disrespected by Triple Talaq. 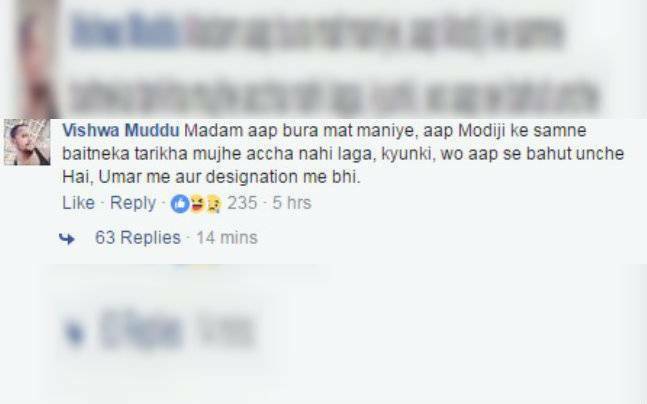 You outrage when a woman’s modesty is attacked and so, you bat for anti-Romeo squads. And here, you bring her down for wearing a dress that is perfectly, perfectly normal except for those who think a woman should cover herself just in case the man in front of her gets, who knows, distracted? However, the fighter that Priyanka Chopra is, the actor sent a direct slap to her critics today when she uploaded a picture both her and her mother Dr Madhu Chopra wearing knee-length dresses because guess what!? A. A woman can wear whatever she wants to, and B. A dress like the one which Priyanka was seen in in Berlin while meeting Modi is just perfect for the occasion. Maybe, get your heads and hearts out of the puritanical hellhole that you hide yourselves in, calling it ‘Indian kulcha‘, from where, every now and then, you rise to shame and patronise those who don’t fit into your worldview.